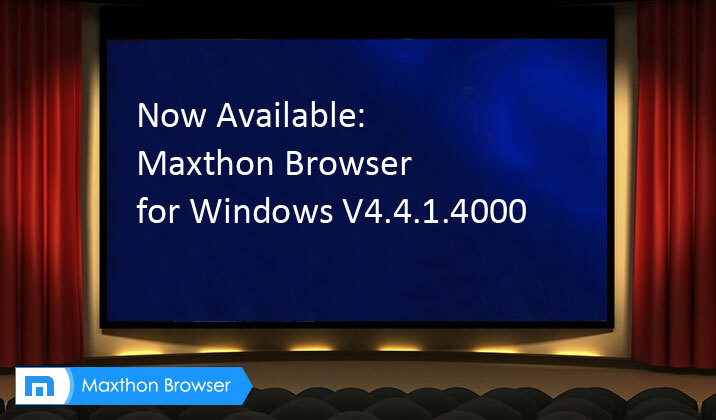 Maxthon Cloud Browser V4.4.1.4000 is now available for download. Please be one of the first to try this great build. * Developer Tools Cloud Push does not support Multilanguage. Hey guys. Upgraded the browser to V4.4.1.4000 and no sign of the NEW Quick Access! Will send you an email with a screenshot! Where is my new quick access? Why are icon of expansion which must be in toolbar still in the sidebar?! NoAds for example. And I want to reset my settings. How to do it? Hi there锛宼his New Quick Access is not available in this version, http://forum.maxthon.com/thread-12459-1-1.html. It’s coming up soon! Please delete the photo! Maxthon Affiliates Program announce cash prize reward for month of August! 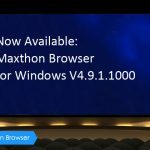 Maxthon Cloud Browser for Windows V4.4.2.1500 Beta Released!